From time to time I ask my daughter to give me ideas to write about on this blog. And she has some really good suggestions. Last week, it was she who gave me the idea for How to Develop Good Relationships Between Stepparents and Kids. Last night she gave me another brilliant idea and though I had in mind to write something else today, I want her to know her input is highly valued so I let it take precedence over mine. Ladies before gentlemen, right? She told me that many fathers might be living in the home but still they’re so uninvolved that they might as well be absent. We often hear about absentee fathers and those that are missing in action in the lives of children. But many dads are missing while living right under their kids’ noses, as the expression goes. Therefore, that’s the subject matter that I’ll write about today. When we had our Upbeat Dad Community Forum 3 weeks ago, after the event, I was speaking with our guests. One lady, in particular, stood out to me. The theme of the event was Where Are Our Fathers? We spoke about fathers who are nowhere to be found. We also spoke about fathers who were once involved in their kids’ lives but when they divorced their wives, they also divorced the kids and became absent. That statement got me thinking. There’s a segment of our population that we don’t talk about too much. 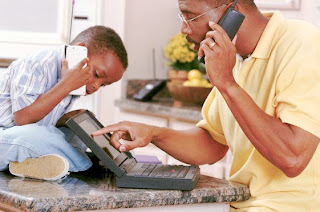 With fathers missing in action in our homes, we are often so focused on those that we don’t think of those who live in the home but are so distant that they are not much better than those who are physically absent. Our goal as an organization is to get fathers and mothers to realize the important role that each parent plays in the lives of children. I don’t believe that kids can be the best that they can be without the positive influence that a mom and dad can provide. For the most part, mothers are the ones who are nurturing and have a close bond with the kids. Fathers generally are the ones who focus more on providing for the family and ensuring their financial well-being. Over the past 100 years or so, the lines between the two roles have become less rigid as women have increasingly important roles in the workforce. And correspondingly, some fathers have assumed the role of the nurturer. Even so, fathers are more often than not the so-called bread winners in our homes. As a man, I know the importance of providing for my family. I know that in order for my wife and kids to live comfortably and for us to meet our financial and life goals, I need to give my very best effort to ensure our success. I don’t believe that our dreams will come true by simply wishing and hoping with our fingers crossed. It will take much hard work, no doubt. While I recognize that it will take hard work to live the life that we desire, I hasten to say that if my goal is to do what’s best for the family, I must also recognize that they need me to be very present in a tangible way. What would it profit me to gain fame and fortune and great notoriety yet become emotionally disconnected from the ones who love me the most and who I should love the most? Many adults today are just like that lady who spoke with me after the forum. They grew up with a present absentee dad so they never knew what it meant to play catch in the backyard or do some of those simple tasks that might appear routine to adults but mean the world to kids. If you’re a dad – especially if you’re a fairly new dad – I implore you to think of your kids in your pursuit of happiness. 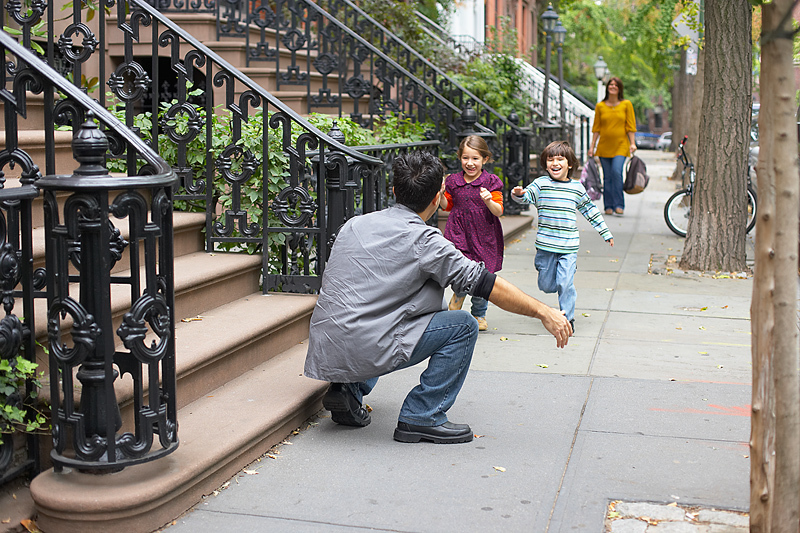 How bittersweet it would be if you become the managing partner of your firm and can afford to live in the best neighborhood with the most expensive car on the block yet your kids prefer to spend time at their friend’s home because they don’t know you. On this blog, I often write about divorce and divorce related matters. But this subject matter of the present father who’s missing in action is also one that needs our attention. What it also says to me is that our overall vision of having more involved, active dads in the lives of kids ought not only be shared with dads who are not in the home. Dads in the home need to hear the message that it’s not enough to be present; they must also have a presence that endears their kids to them. I wrote Cats in the Cradle: A Lesson for Working Parents to address the importance of being actively involved in our kids lives, even as we pursue our dreams. I encourage you to read that post as well. If this post has spoken to your heart and you realize that you need to make some changes, I encourage you to do so. Your kids will thank you for it. If you’ve been missing in action, though present, it may take them a while to warm up to the “new you.” But still, changing the way that you approach your relationship with them is an investment that is sure to reap a lifetime of dividends. Please know that I am always thinking of ways to make each of us more actively present in our kids’ lives. I’m thankful to my daughter for inspiring me to write this post because I believe it’s a lesson that each of us can learn from. I hope that it’s been beneficial for you and your family. Enjoy your day. And whether you’re a mom or a dad, always be excited about the privilege you have as a parent because it’s certainly priceless! Great post! While I think an absentee father is still preferable to no father, this is a parenting issue that we don't often think about. I rather have no dad at all than live with a father who ignores me. nothing hurts more than seeking approval, love and attention from a father who is in the house but shows no effort to be part of your life. It hurts when your dad doesn't speak to you at all, does't ask how your day is, how you are feeling, if you are hungry, if you need anything, no hugs or kisses. He only calls your name to fetch him a beer or a snack out of the pantry. What does that do to an 8 year old girl or 11 year old boy? soooo I rather not have a father at all than have a lazy bum of a dad who has his phone stuck to his hand and his back stuck in the bed all day.